Join us at Fashionable Ferndale’s The Loving Touch bar, erstwhile massage parlor turned hipster haunt, for an evening of art rock and psychedelia from two Detroit bands. A groovy happening you won’t want to miss. All ages show, $5 admission. 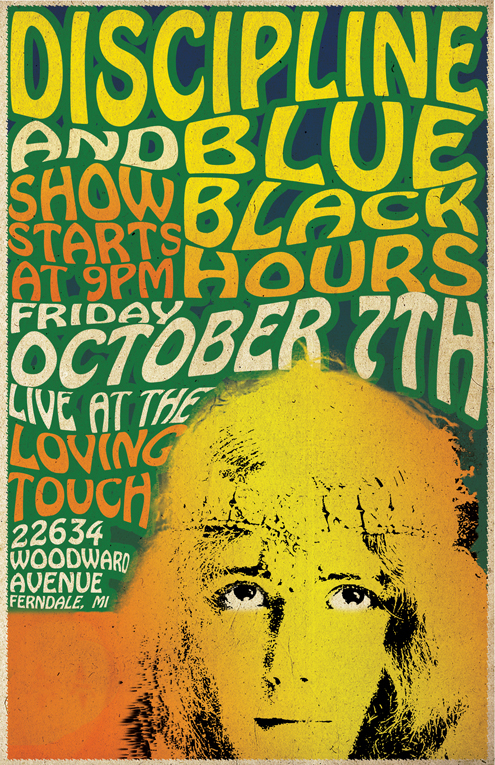 Two Detroit area bands, Discpline and Blue Black Hours, will perform live at Ferndale’s Loving Touch bar, October 7, 2016 at 9pm.